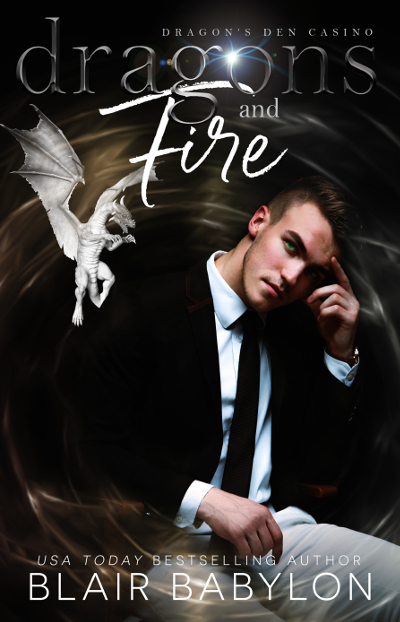 NEW paranormal romance novel from Blair Babylon and Poppy Wolfe! Mating fever is for old dragons, idle romantics, and suckers. 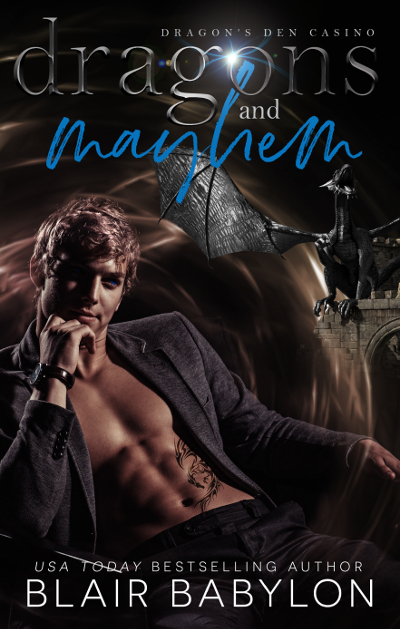 Mathonwy, Duke Draco, absolutely, positively, definitely isn’t falling into a mating fever for the new little witch, Bethany Aura, whom his company just hired to whip a new Las Vegas casino into shape. The casino is behind schedule, over budget, and a shambling mess of construction debris and dirt. Angel investors are arriving in a month, and someone in the finance department is embezzling money. But his eyes are changing color to flowing, molten gold, he keeps showing up to hang around Bethany, and he obsesses with buying diamonds and gold to drape all over her, as if she had been dipped in his hoard. But Mathonwy has a job to do. 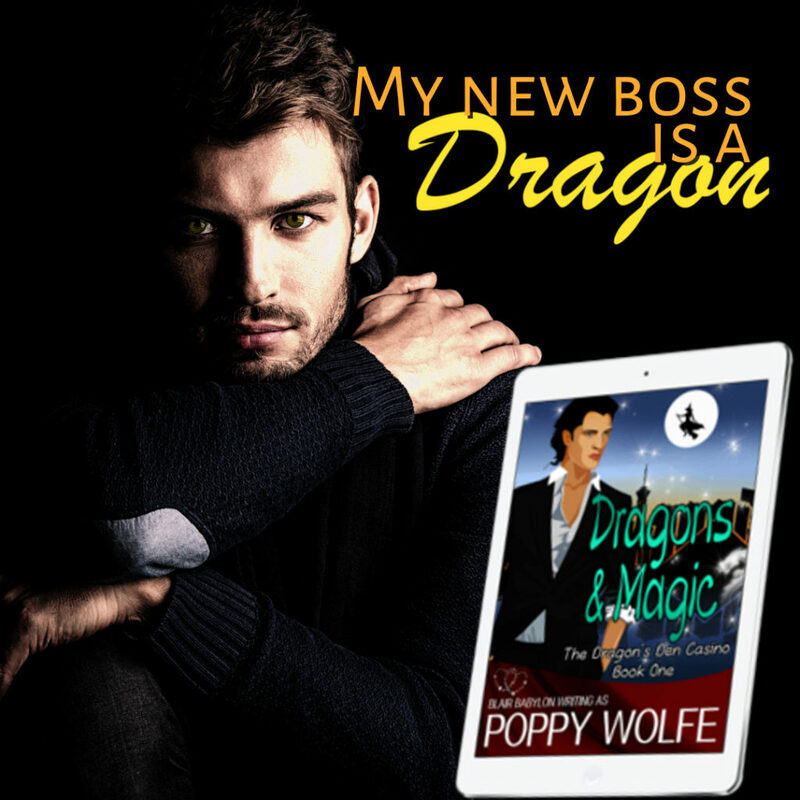 He’s the CFO for Dragons Den, Inc., and he might be crowned the next king of New Wales, though he’s not particularly sure he wants that job. He’s six feet, six inches tall, ripped from flying instead of taking a plane, and on a dozen committees and boards in New Wales. He has a career. He has a position as a nobleman in his community. He’s too young to settle down with a fated mate. Yet, as Bethany casts her glittery, sparkling spells and summons adorable, fluffy creatures to clean away the wreckage and arrange the furniture, Mathonwy watches. He can’t take his eyes off of her. But he isn’t falling into mating fever. 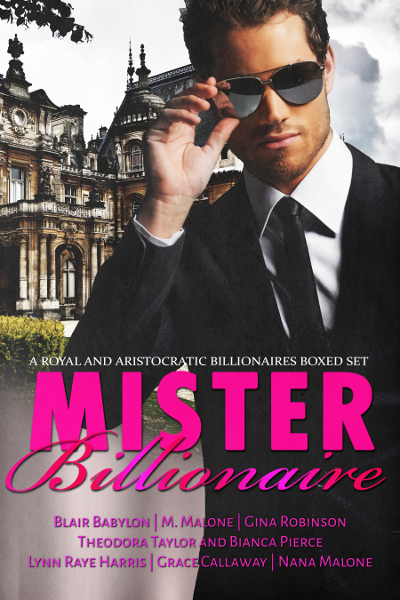 Previous Post New Book by Blair Coming Soon! Next Post First Excerpt!